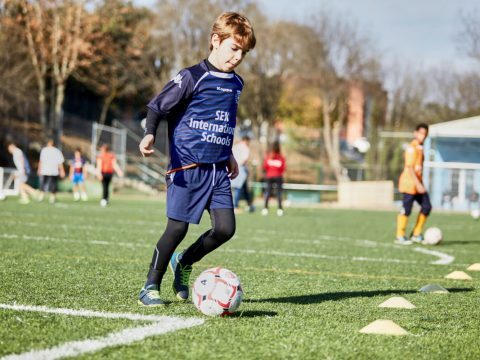 SEK Education Group has strong ties with the world of sport, which we believe plays a fundamental role in education, and is the first private education groups to offer high-performance sports academies. We were awarded the National Sports Prize in 1988 and 2010 and the Spanish Olympic Committee Prize in 2010 for our support for sports and Olympism. Students from the SEK International Sports Academy high-performance athlete programme attend our school and stay at our halls of residence. 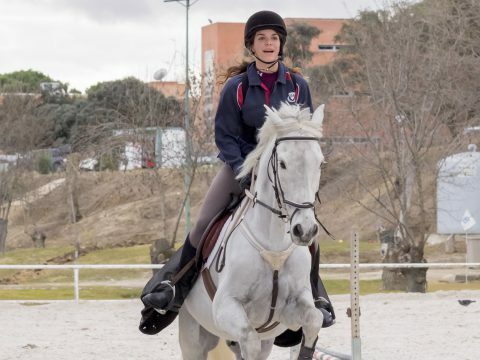 A programme for students between 10 and 18 years of age attending the High-performance Academies and Sports Academies who wish to combine their studies with high-level sports competition in Spain and abroad. Bespoke programmes and training systems tailored to the athlete’s level, in order to develop their technical, physical, tactical and mental parameters. Coaching service including psychological support and mental training. Medical, nutritional and physiotherapy service in collaboration with the UCJC School of Education and Health. 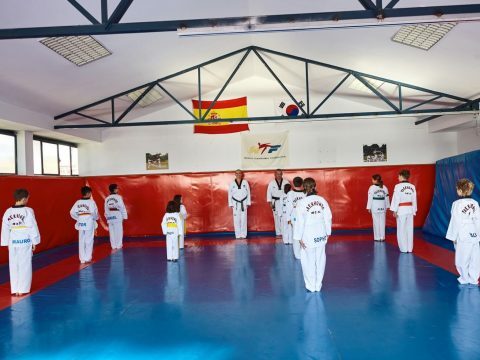 Taekwondo, psychomotor activity, dance, skating and theatre rooms. 1,000m2 multi-sports area, with 2 tennis and fondon courts, three basketball courts and a 5-a-side football pitch. Beach volleyball area, covering 200m2. A 7-a-side football pitch and a training ground for football and athletics. Heated swimming pool (25m long) with a system of solar panels to heat the water and maintain a constant temperature in accordance with the EcoSEK programme. It covers an area of 400m2. Outside, there are open air multi-sports courts for basketball, handball, football, beach volleyball and 5-a-side football. The UCJC Sports Club facilities are connected to the school, a unique type of sports club. Situated in privileged surroundings for relaxing in the open air with family and friends. Over 140,000m2 for: tennis, paddle tennis, golf, horse-riding, fitness and swimming, amongst others.